A hanging system for pictures offers a solution for a re-occurring problem, namely that of the holes in the wall after the picture has been hung up! It is so simple to hang up a picture at any place on the wall, without drilling any extra holes or hitting nails into the wall. One does not need any extra tools to change the picture's position or to remove it from the wall. Should the picture not be positioned in the correct place, it can simply be re-hung by simply adjusting the cords either in the length or breadth. 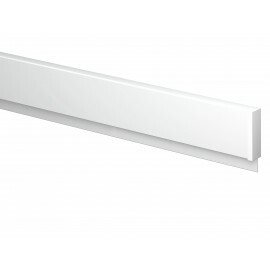 Which hanging system to use for hanging pictures? 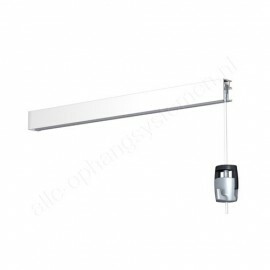 - Will your hanging system be positioned or be fixed on the wall or the ceiling? 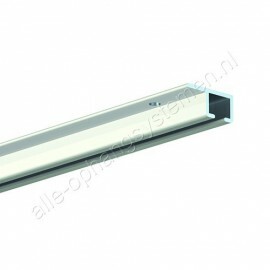 - Do you want lighting by means of halogen or LED spotlights? - How heavy are the pictures or other artworks that you wish to hang? - Must the artwork be extra-protected against theft? How does a hanging system for pictures work? If you wish to use a hanging system for hanging pictures, photo frames, canvases or other wall decorations, then you only have to mount a hanging system once. After that, you can hang up something interesting (example a picture) on the wall, by means of hooks and cords. Depending on the weight of the wall decoration, you have to choose the correct wire (steel wire or invisible perlon wire) and hanging hook. If you wish to replace a picture, or replace it with something else, this procedure is very simple to do, without making holes or putting plugs in the wall. Do you also want a picture hanging system? 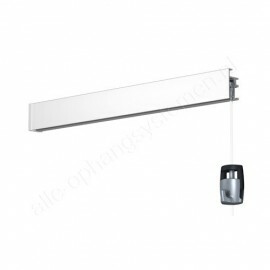 You can find the exact hanging system for your pictures in our webshop. For larger quantities, we can offer competitive B2B pricing. Please feel free to contact us and discuss your wishes. We shall make you a custom price offer. If you do not know which picture hanging system is best for you, ask for our free advice.